Milan Paľa‘s unique style of playing is unmistakable and experts justifiably rank him among the world’s top performers of the younger generation. During his studies at the Ján Levoslav Bella Conservatory in Banská Bystrica, at the University of Music and Performing Arts in Vienna and the Janáček Academy of Music and Performing Arts in Brno, Milan Paľa won numerous awards and attracted international attention in European competitions. At that time he also took international master classes in Zurich (with Vladimir Spivakov and Jean Guillou) and, in a private class with Semyon Yaroshevich, became acquainted with the legendary Russian school of David Oistrakh. However, it was his cooperation with composers that, according to Milan, profoundly influenced his musical expression. A close relationship and creative collaboration with such composers as Jean Guillou, Evgeny Irshai and František Gregor Emmert resulted in a string of works “made-to-measure” for the young violinist, who at the same time expanded his performance skills to a point far beyond the limits of the ordinary. A very busy concert artist, Milan Paľa commands a broad repertoire. A major project has been to record the complete works for solo violin by Slovak composers, entitled Violin Solo 1-5. For this he received multiple awards, including the Prize of the Minister of Culture of the Slovak Republic (2014), the Frico Kafenda Prize (2015) and the Ľudovít Rajter Prize (2009). In 2014 he was awarded the Tatra banka Foundation Prize for his recording of Slovak Violin Concertos with the Slovak Radio Symphony Orchestra conducted by Mário Košík. Milan Paľa’s continuously expanding discography contains many works of the world’s violin repertoire. 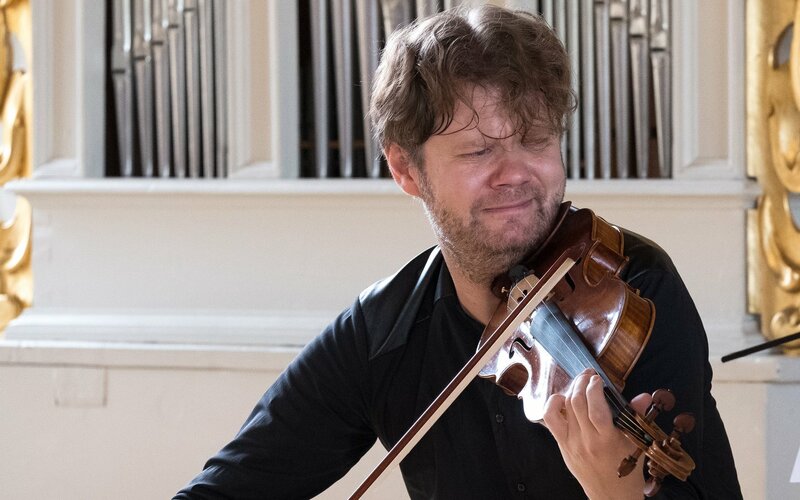 With pianist Ladislav Fanzowitz, he is committed to recording the complete sonatas for violin and piano by major composers, with works by Johannes Brahms, Ludwig van Beethoven, Eugen Suchoň and Edvard Grieg having been published so far. Their most recent recording (2017) features Dmitri Shostakovich’s Sonata for Violin and Piano, Op. 134, and Sonata for Viola and Piano, Op. 147. A result of the inspiring cooperation of many years between Milan Paľa and the conductor and composer Marián Lejava is their critically acclaimed recording of violin concertos by Alban Berg and Karol Szymanowski with the Slovak Radio Symphony Orchestra. The recording, which received the Radio Head Award in 2016, has met with favourable response internationally. A new, unique instrument – a five-string violin – occupies a special place in Milan Paľa’s creative output. Dubbed “milanolo”, it is a concert instrument that brings a lower, viola register to the violin, and is the first of its kind. It was created in 2013 at the workshop of the Bursík family of violinmakers in Brno, and bears the name of the performer for whom it was conceived. A special CD presenting the instrument in works by European composers created specifically for the occasion has been issued under the simple title, MILANOLO.